Make your own iPhone XR case to get your phone incredible protection. 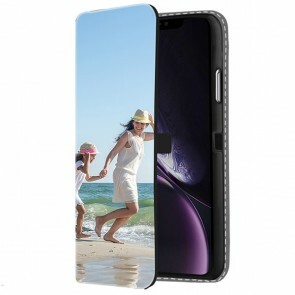 Compared to the two other iPhones launched at the same time, the iPhone XR is still a very good deal and getting one of our custom iPhone XR cases would be useful as well. Just because it is a mid-range phone doesn't mean Apple has reduced its quality, on the contrary. Featuring the same edge-to-edge design introduced with the iPhone X, the home button and the touch ID support removed, and relying only on Face ID recognition, the phone as practically the same. By using lower cost components, Apple decided to make it more affordable. With it's 6.1-inch MLCD+ screen, it will offer a brighter screen and better color accuracy with less power consumption compared to traditional LCD screens. Furthermore, a glass back and an aluminum frame have been included to keep it as classy as the iPhone X. 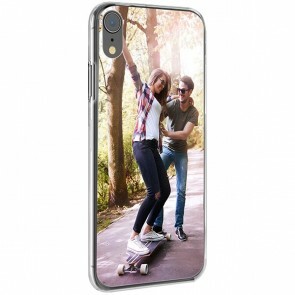 With all those great features, we at GoCustomized, have therefore made it possible for you to create a photo iPhone XR case with your favorite picture to keep your phone as good as new for longer, and provide unique and stylish protection. Using your device without a proper protection is a huge mistake. With our custom iPhone XR cases, you can bring your phone wherever you go. 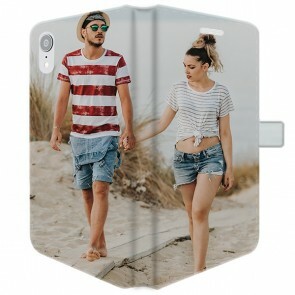 At GoCustomized, we offer you the possibility to print your favorite picture and get the most unique and stylish case you have ever seen, while giving your phone great protection. Interesting isn't it? The process is very simple to create a photo iPhone XR case. First, choose the type of case you need. We have a very wide variety of cases such as the hard case and the silicone case which can have your picture printed on the back. We also have the full wrap hard and tough cases on which your picture can be printed on the back and sides of the case. Finally, the full printed and front printed wallet cases will also cover the screen of your phone and allow you to hold cards in it. Once you have chosen your preferred type of case, start to design it. Upload your favorite picture from your computer or your social media accounts. Our user-friendly customizer will make the design process quick and easy. Don't wait any longer and design your own custom iPhone XR case now!